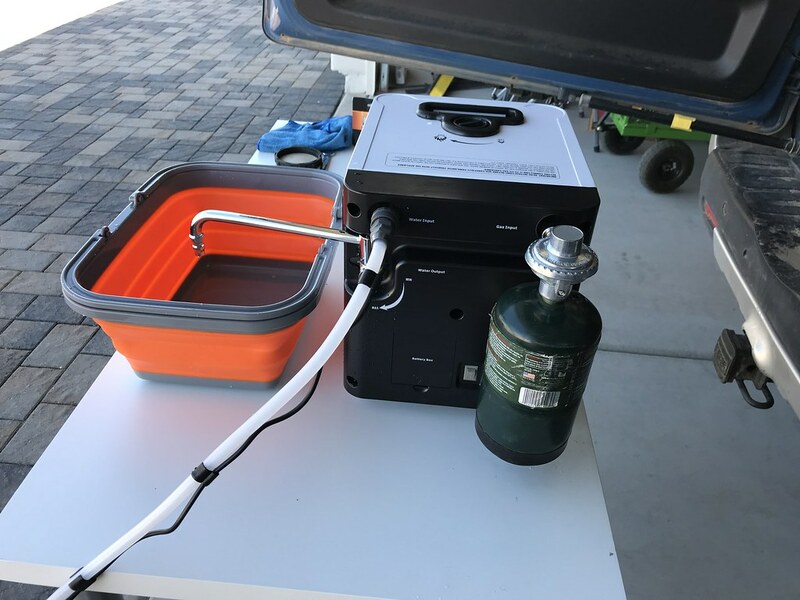 We were looking for a portable water heater that could be used with our trailer or with vehicle only camping. 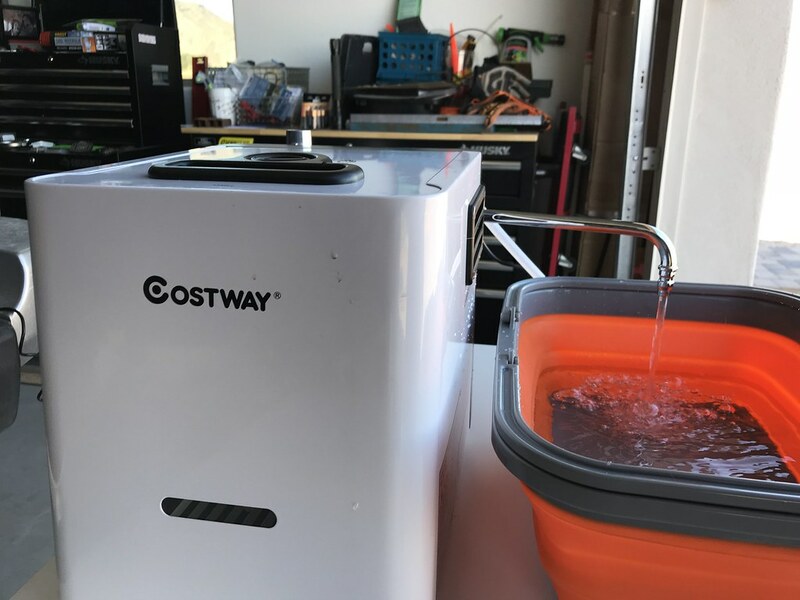 The simple design and price point of the Costway heater motivated us to give it a try. So here are our first thoughts. We will update this article after some trail use. Similar to the Mr Heater Boss Heater which costs more. A simple design without fancy electronics. You can adjust the flow of the water at the faucet base. 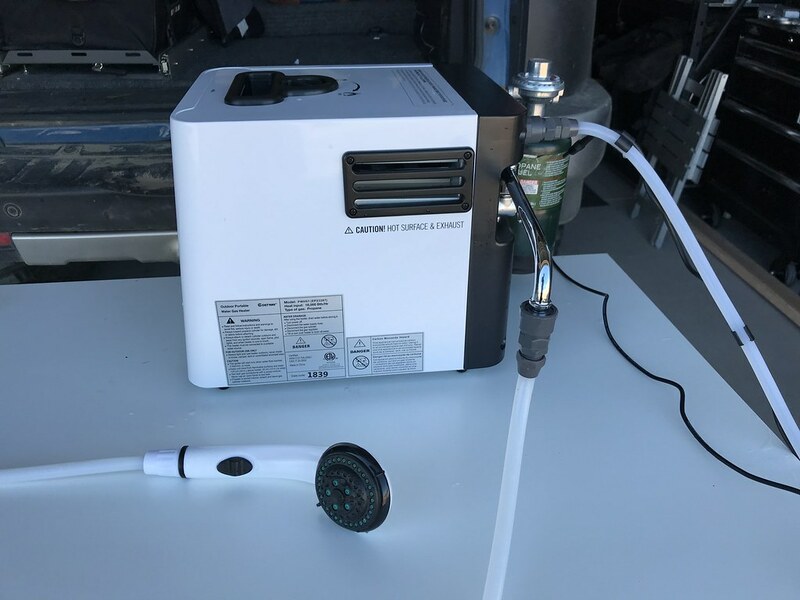 This can be used with a green bottle or larger propane tank with a “20lb” to 1lb hose with built in adapter. There is a temperature control on top. 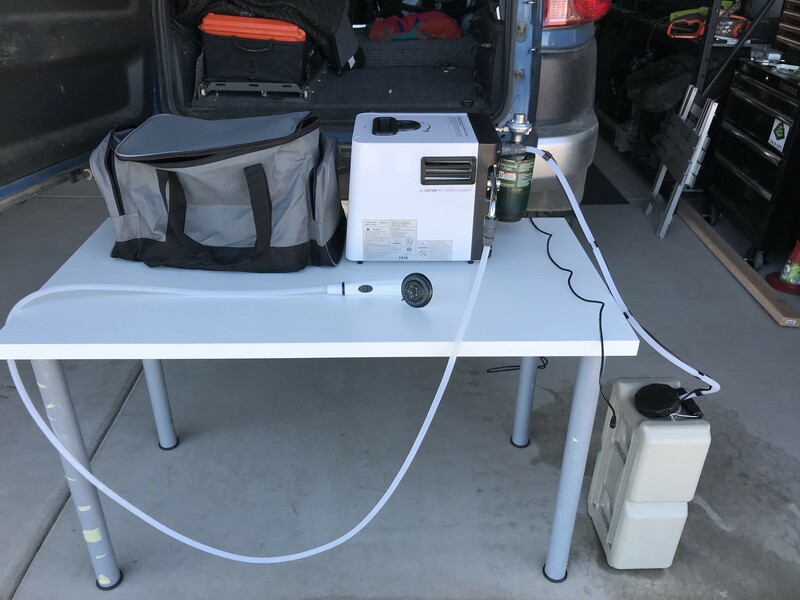 If your source water is too cold run the heater and pour the warm/hot water back into your container.During testing we did this a couple of times and the shower water got very hot. Everything is included except the 2 D Cell batteries and propane. The power plug should have an inline on/off switch. When you are done using the water you have to disconnect the plug. This is a cheap fix though. Part link below. 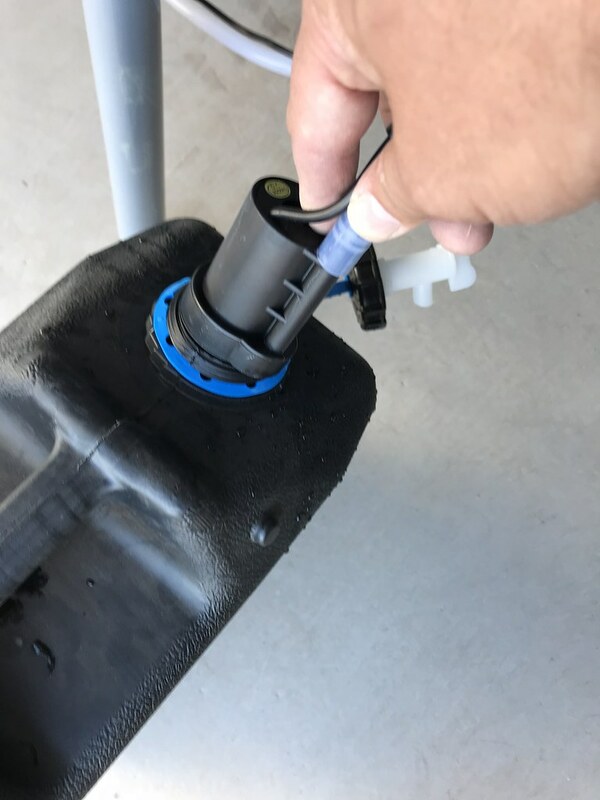 Your container must have an opening large enough for the pump. You will need an always hot/on 12v plug in your vehicle or trailer. With shower head hose. Plugged into our FJ Cruiser rear 12 volt plug. Pump won't fit into a standard jerrycan opening. It does fit into our waterbricks. 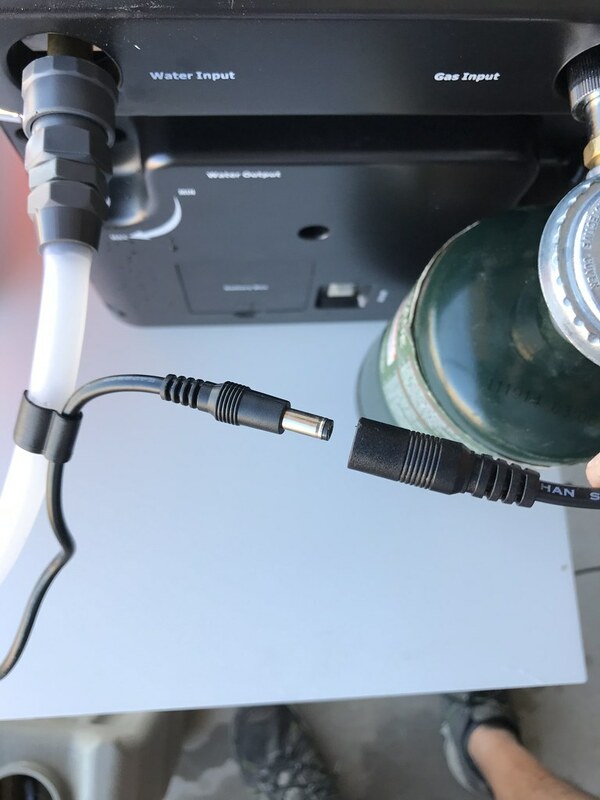 We are going to make a DC to SAE plug cable for this so it can connect to a power port on our trailer.